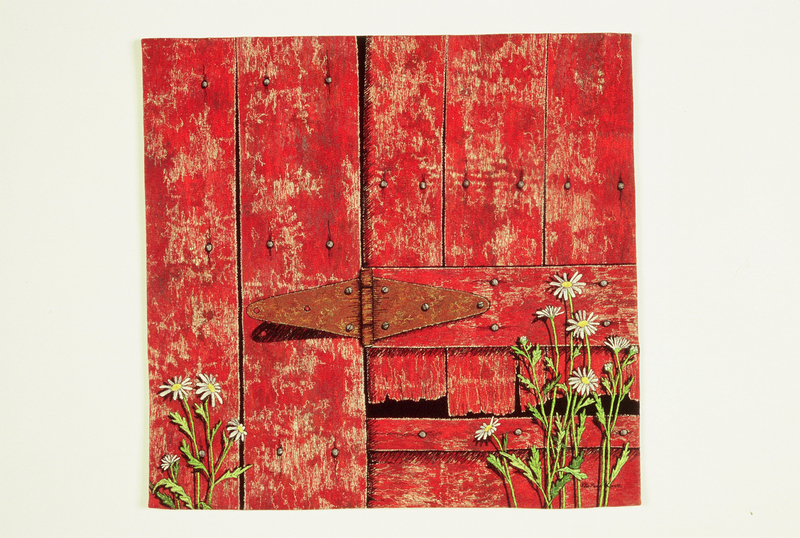 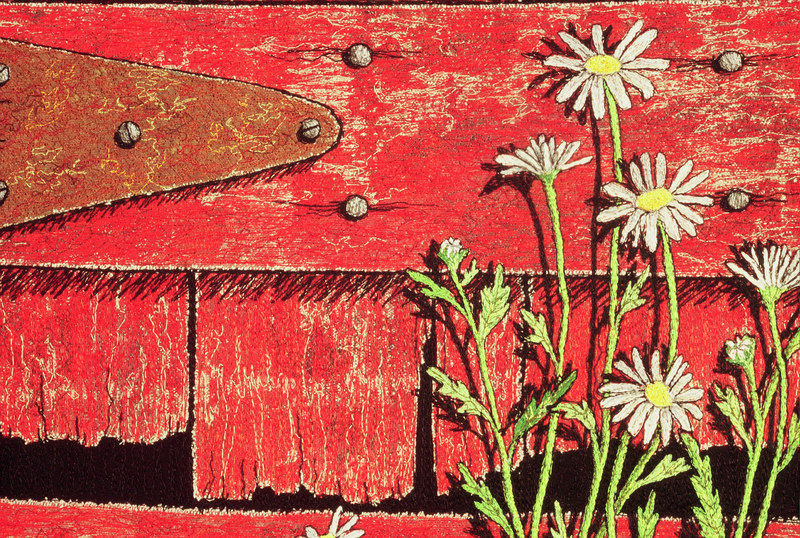 Bright white daisies play against old red weathered wood on this barn found in Napa Valley, California. 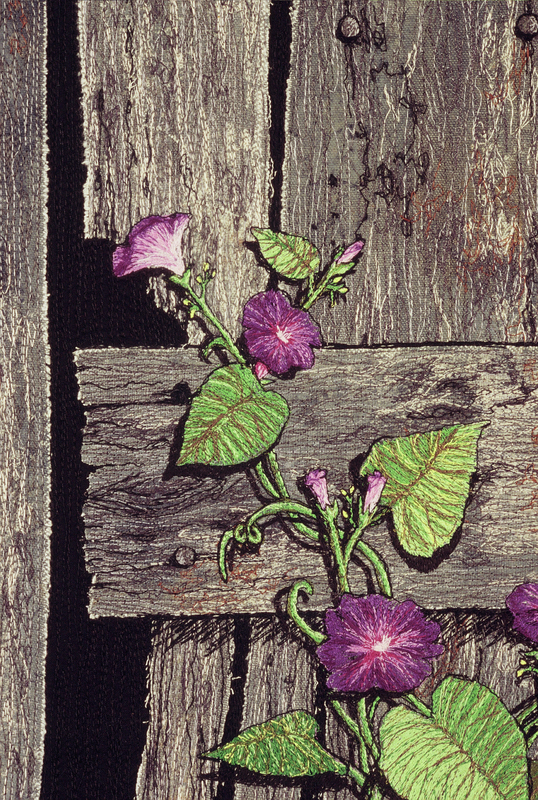 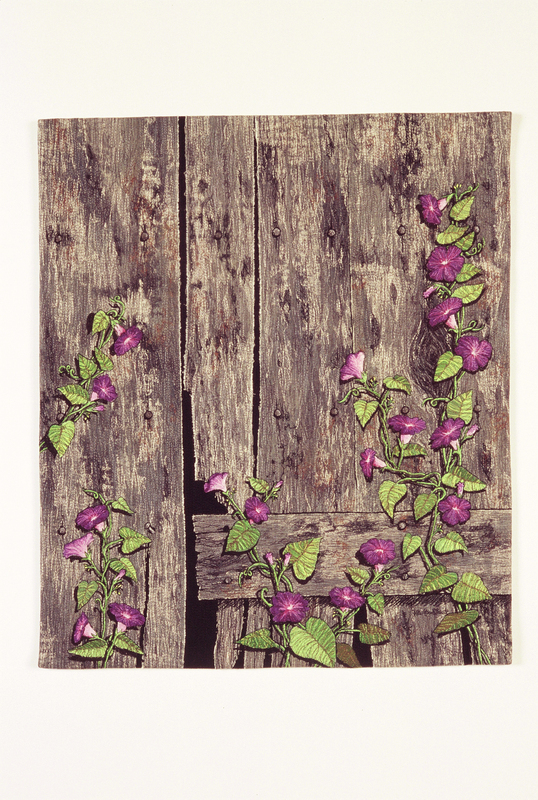 Brentwood Barn, discovered between two encroaching suburban communities near Nashville, Tennessee, is a hardy survivor, with natural trellises of morning glories softening the transition between city and country. 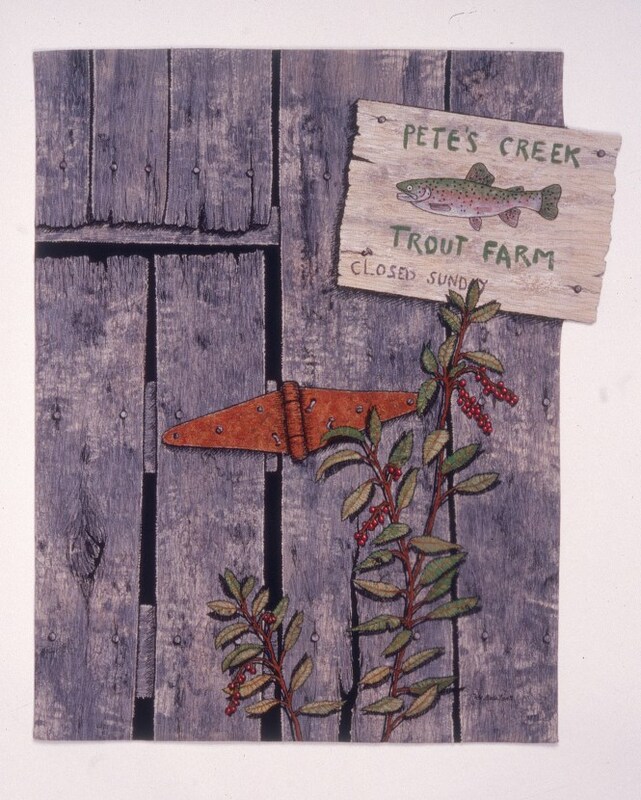 Pete's Creek Trout Farm was inspired by a sign hastily nailed to a barn spotted while returning from a fly fishing trip on the Hiwassee River. 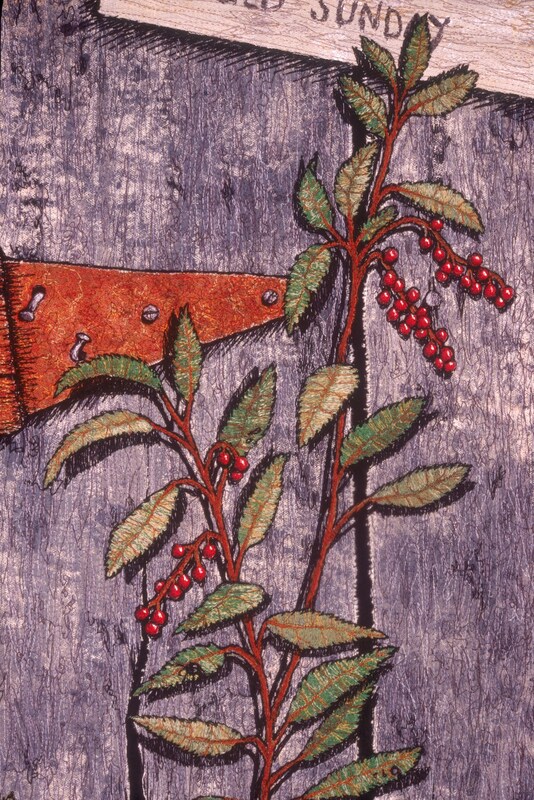 This weathered Appalachian barn is surrounded by winterberrys growing wild.